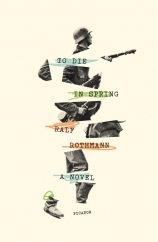 Rothmann explores themes of accountability, responsibility and consequence in To Die in Spring. German author Ralf Rothmann explores themes of accountability, responsibility and consequence in To Die in Spring. Set during the last months of World War II, the novel chronicles protagonist Walter’s experiences as a field transporter forced to enact the most severe of punishments on his friend for desertion. 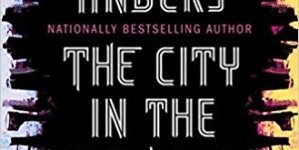 The book begins and ends after an elderly Walter has fallen ill and died, respectively, as told through his unnamed son’s first-person account, which attempts to piece together a biography from what few details Walter has jotted down. But this framing device can be easy to forget as Walter tells his son “you’re the writer” and the narrative point of view switches to teenage Walter’s third-person observations for most of the novel. Walter’s term during the war comprises the meat of the book and stands as an enclosed story, rendering the son’s first-person account unnecessary. At 17, Walter and his friend Fiete are tricked into compulsory military service while attending a rally held at a party. Staying home is considered desertion, an idea the latter discusses throughout their conscription. This is a key point Rothmann uses to pit the two men as opposites. Walter is steadfast, morally sound on a personal level, but more hesitant to question the bigger picture. He spares the lives of citizens suspected of being spies and rescues a soldier when an Allied plane shoots at their vehicle. Fiete, in contrast, is outspoken, playful and someone who enjoys reading poetry and the literary arts. While Walter abides by his duties, if not necessarily to Germany’s politics, Fiete prioritizes his fear of being sent back to battle, his waning belief in the Reich and a promise to return to his pregnant fiancée. After Fiete’s imprisonment for running away, Walter is assigned as one of his executioners and would face the same fate if he refused to carry out his orders. 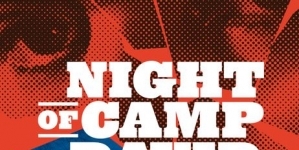 Vivid images of carnage wrought on the battlefield fill many of Rothmann’s pages almost to the point of desensitizing the reader through repetition. Due to that effect, at times Spring isn’t the most engaging read, though it does depict how soldiers have to adapt to survive war. However, Rothmann doesn’t examine Germany’s responsibility for World War II, which feels unsettling for a modern novel. He doesn’t go into how the Jews were persecuted other than having Walter find their graves and encounter Jewish prison laborers marched back home from the mines. Aside from Fiete, only a lone one-off character—whom Walter runs into after the Allied takeover—denounces the war and the Reich’s anti-Semitic views and actions. Rothmann does at least correlate literature with anti-establishment sentiments. Fiete assures the poems he reads while recuperating in the hospital “won’t overthrow the state,” but he bemoans being “faithful unto death” to the “Greater Germany.” In another instance, Russian bombers drop down flyers, and it’s noted that just looking at them risks punishment. 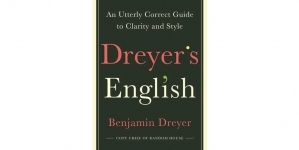 Despite To Die in Spring’s dour subject matter, Rothmann does breathe life and humor into the book mainly through character interactions and banter, as well as letters between Walter, his family—particularly his cheeky younger sister—and his girlfriend Elisabeth. 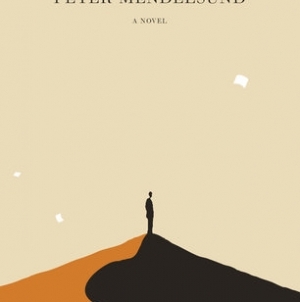 Amidst air raids, explosions and incineration, Walter and Fiete’s unguarded conversations and gestures to comfort each other culminate in a scene more affecting than any of the atrocities the author imagines. As time ticks closer to Fiete’s execution, Walter intimately embraces his friend during his last prison visit, and in doing so Rothmann shows in this very tender moment how, even in war, humanity exists. Ashley Pabilonia (Twitter @ampabilonia) lives in Florida where she blogs about her local literary scene at sunlit-tome.weebly.com. Currently a captionist for live TV retail programming, she's also written and edited TV show questionnaires. She dabbles in stage combat, flow arts, tea bars and car karaoke.